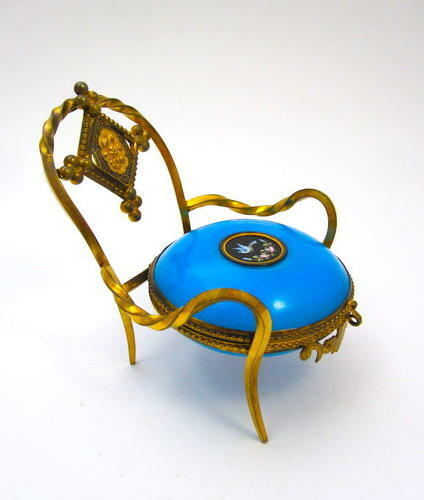 Antique French Palais Royal Blue Opaline Glass Ring and Jewellery Holder. Dore Bronze and French Opaline Seat Jewellery Dish. This Whimsical Chair is Beautifully Mounted with Dore Bronze. The Central Porcelain Miniature Depicts a Pretty Bird with Flowers.